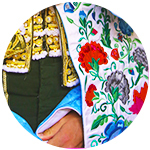 Almería has a long bullfighting tradition spread by many towns in its province. Some localities have recovered bullfights in recent years, which is great news. The most important Fair is the one celebrated in the capital, the Fair of the Virgin of the Sea. The Vera Fair is celebrated around September 25, the feast of its patron Saint Cleofás. It is celebrated on the occasion of the Fair and Festivities in honor of Saint Cleofás and includes a bullfight and another one with horses. There is also a bullfighting festival at the beginning of the season. How to get from Almería to Vera: Vera is located 87 km from Almeria (1hour by car). How to get here | Driving Direction. In 2018 bulls from Núñez de Tarifa were fought for the bullfighters Juan José Padilla, El Fandi and López Simón. All who won the Main Door. We regret to inform you that, currently, Servitoro does not have tickets for this show, but we recommend other bullfighting experiences a few kilometers from Vera. 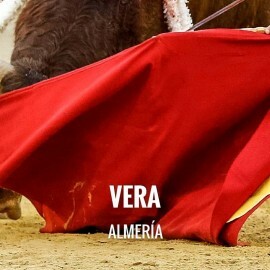 Servitoro, bullfighting news of Vera Bullring, Almería.